A suburb north west of Sydney’s CBD could experience double-digit price growth in the coming year due to employment opportunities, renovation potential and infrastructure revitalisation. 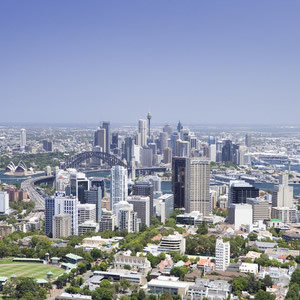 The suburb of Ryde, 13 kilometres north west of the Sydney CBD and around 10 kilometres east of Parramatta, was “relatively quiet” in the first half of 2014, according to Robert Skeen director of Skeen Property Buyers – but prices could be set to climb. “Ryde experienced capital growth of around 4.6 per cent up until May this year, so it’s been relatively quiet. But we’re predicting it to jump 8.5 to 13 per cent in the next year,” Mr Skeen told Smart Property Investment. Mr Skeen said properties in the area were averaging around 23 days on the market, so “things are moving quickly” and more people are set to notice the benefits the region has to offer. “I think Ryde is popular because it’s almost in the centre of Sydney. It’s easy to get out to the Blue Mountains, to the CBD or the north and south. Mr Skeen said the area also benefits from its close proximity to the recently refurbished Macquarie Centre, Macquarie University and two hospitals. According to RP Data’s September figures, the median house price in the suburb of Ryde is $1,080,000 with a median weekly rent of $620. Units sold for a median of $649,000 with weekly median rent of $430. Units in Ryde have also been transacting in high numbers in recent months, with 409 sales taking place in the past 12 months – making it the 13th most active suburb in terms of unit transactions in the state – according to RP Data. The highest number of unit transactions in New South Wales occurred in Dee Why where 662 sold followed closely by Wollongong (637) and then Parramatta (585), Cronulla (515), Rhodes (503), Liverpool (502), Port Macquarie (496), Sydney (447), Auburn (449), Bankstown (441), Mosman (431) and Randwick (410).